Performing digital image restoration work means having reliable equipment that’s up to the job. To scan our images, we don’t use generic, widely available scanners that can be purchased over the counter from most electrical retailers, as they are simply not up the task of capturing the extremely high detail that we require. Our tool of choice is the commercial grade Epson Perfection V800 Photo Color Scanner, built for precise film and photo reproductions. Ideally suited for capturing detail to high resolution, and to increased color bit depths (up to 48 bits). In layman’s terms, a higher bit depth allows for capturing a higher dynamic range of colour. The high resolution and high color bit depth means we can capture more detail than needed, so that we have more to work with to produce better results. Equipped with a 4.0 Dmax and an innovative dual-lens scanning system ensure extraordinary results whether scanning slides, negatives, medium- or large-format film. The Epson Perfection V800, with the above abilities, means we can scan negative film strips and slides and capture all the detail available to digitise them into digital images that you can then have printed, and keep on file for future safety. For example, we can capture a 35mm slide and provide you with an image that you then use to produce a 10 by 12 inch print. 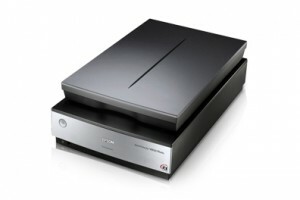 In fact, currently, this scanner model is regarded as the flatbed scanner tool of choice for negative scanning due to it’s ability to produce superior results. The next step is to go into the much more expensive drum scanners. Plus additional sizes if self mounted slides up to A4 (eg: such as the old Kodachrome mounted slides). We also have a large range of film manufacturer profiles installed using SilverFast NegaFix® that enable us to take into account the manufacturer, the film’s photoresponse and film type to get the best result possible. If you know the manufaturer and type of film, we may be able to match it up to their manufacturer profile for scanning.